When I was actively training at the Karate Dojo, every workout included time spent repeating individual techniques over and over and over and . . . well you get the idea. We would stand in a circle and count off by tens and twenties, punches, chops and kicks, as the Sensei and senior students came around correcting our form. During one of these sessions, a senior student explained the concept of Muscle Memory and why it is important to repeat the movement so many times. Muscle Memory, or, if you like technical terms, Neuromuscular Facilitation, occurs when you have repeated an action enough times to have etched the pattern into your brain. The action becomes automatic, requiring no conscious input on your part. Neuromuscular Facilitation or Muscle Memory allows you to walk, get dressed, tie your shoes and start the car without thinking. Many, if not most of the activities in our daily lives are run by Muscle Memory. This is usually a good thing. But what if the pattern is holding us back or contributing to poor health. For instance, what about a muscle memory that causes you to slouch or clench your jaw when you're tense? If you golf, you know that a Muscle Memory that causes you to slice your drives is extremely difficult to shift. It involves coaching, constant awareness, and lots of repetition to break that original, inefficient pattern and create a new, more beneficial pattern. - Negative thoughts such as: I can't do it, I'm not smart enough, I don't have the money, I'm not attractive. - Inefficient patterns including: Procrastination, consistent tardiness, working under stress, disorganization, lack of focus. - Faulty beliefs like: You can't make a living doing what you love. You have to do it alone. In order to win, someone has to lose. All of these thoughts, patterns and beliefs are learned, usually at a very young age, and become MMMs that FEEL true. In other words, they seem so integral to who you are that you cannot imagine yourself without them. - Acknowledgement and Acceptance: Obviously you have to acknowledge the pattern to begin shifting it. But, while it may seem counterintuitive, you also need to accept the negative pattern in order to begin the shift. Acceptance brings patience and compassion for yourself during the transformation process. It's sort of like a 12-step program, "Hi my name is Edward and I'm a web surfaholic." Once you acknowledge it you open the door for consciousness and choice to enter into the pattern. - Coaching/Mentoring: This can involve a relationship with a professional coach, a mentor, a trusted friend (co-coaching) or your own inner wisdom (self-coaching). When I was in college, a friend and I noticed that we both used "like" far too often in our speech, as in, "Like, what do you mean, you don't, like, want to skip class." We decided to "coach" each other. Whenever we noticed the other person using "like" in its non-dictionary usage, we would punch their shoulder (lightly!). It worked. We both stopped using "like" within a month. One caveat here: make sure that anyone you enlist to help coach you is truly interested in helping you shift out of the old pattern. Sometimes the people who love us the most don't want to see us change. - Logic: For you left-brained folks out there, sometimes, pure old reasoning works wonders. Let's say you have a belief that you can't make a living doing what you love. Ask yourself, is it true? Can you think of anyone who DOES make a living doing what they love? I bet you can. Once you find examples that disprove the belief embedded in your old Mental Muscle Memory, you can begin looking to those examples each time you feel that old believe come up. I am now Being my True Self and Doing What I Love in order to create all the money required to live comfortably and securely. You can use any or all of these techniques, or make up your own. Whatever method you choose to shift your old patterns and beliefs, repetition is the key. If you're a tennis player and want to impro ve your serve, what do you do? You have someone coach you on the most effective technique and then you go out and practice your serve. Over and over and over. If you spent one-hour a day for 30-days practicing your serve do you think you would see some improvement? You bet. It's the same with Mental Muscle Memory. Practice really does make perfect. So get out there and start practicing! 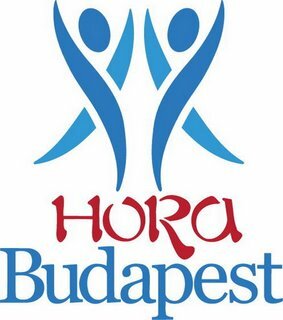 Írta: Hora Budapest Idő: 3/09/2015 10:30:00 de.